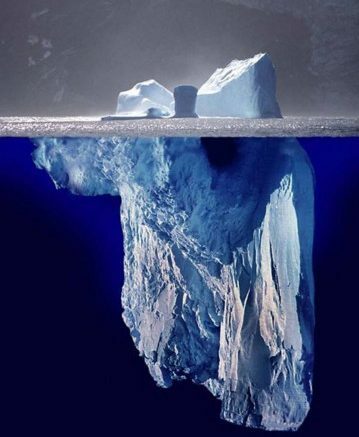 The picture of the day is the Uwe Kils Iceberg photomontage that represents presently unseen material on AuxBeacon News. 7 Comments on "AuxBeacon Picture of the Day No. 1"
I understand what you are doing now. You are allowing a corrupt leadership to completely self-destruct in front of current and exiled members, without condemning them with bad language as in past failed attempts. 1. You don’t hide behind satire. 2. You don’t defame or lie and you provide evidence. 3. You use news stories going back years to show a trend. 4. You are patient in maintaining your log. 5. You don’t mess with cadets, we see that. Very good. Check your other inbox, you have documents for review. We hope that all commanders from the group level up are removed and retrained to never lie, even if doing so protects their leaders above. Recent events and additional stories have finally led me to understand the symbolism of this image. Thank you for all the time and effort you put in to this campaign. Everyone I talk to says that Denzil Allen is very old news. CAP has changed since those days. I understand why you think this. When I was a young Lieutenant in the program, I thought all my officers were honorable leaders. That is not always the case. For example, consider Col. Denzil Allen of Kentucky Wing. Allen vs. CAP, et al: This suit was filed on Feb. 15, 2000, in the U.S. District Count in Kentucky. The suit charged defamation of character and negligence, in that the former CAP Kentucky wing commander made improper allegations against Col. Allen on local television news stations. There are many others. Would you like me to show you another? Your AboutUS page is Total BS. RUBBISH! Name any one CAP commander where this was proved to have happened. NOTICE! Feds becoming increasingly irate at obstruction of justice corruption investigations into CAP and Clinton under this “administration.” You keep publishing what you collect, expose them, many are watching, do NOT give up. A strangely beautiful symbol to portray all the corruption, blackmail, back-stabbings and witch hunts now transpiring within Maxwell AFB’s Building 714 and over all CAP Regions in the past. Where was this “Aux Ombudsman Venting Service” during last decade’s termination massacres that nearly squashed our insider leaks to News of the Force? Shooot, better late than never.